Neem, also known as Azadirachta indica, margosa or Indian lilac, is a well-known herb used in Ayurveda, naturopathy, unani and homoeopathic medicines.In the world of Ayurveda, neem is a popular medicinal herb that’s been part of traditional remedies that date back almost 5000 years. So! 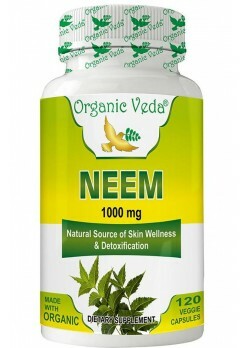 lets buy online today & enjoy the benefits of neem Capsules & Stay healthy! Additionally, Organic Veda brings to you the goodness of Neem Leaves packed in easy-to-use containers in the form of Neem Powder.